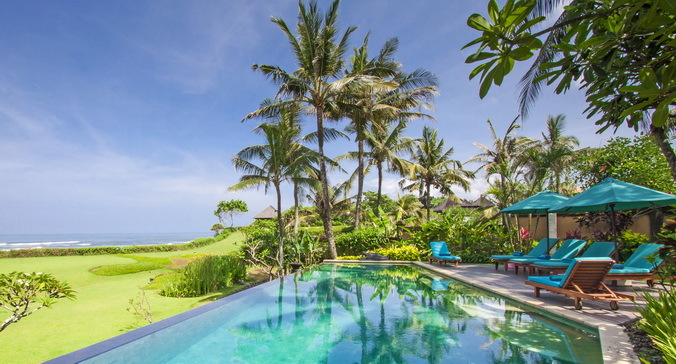 Bali-Properties has hand-picked the best in Bali real estate for you. We offer exclusive private villa accommodation (bali villa rental) and choice Bali property sales. We can even build a villa for you! Our team here at Bali-Properties has made it their mission to ensure that you have a truly perfect and unforgettable holiday. We are experienced in accommodating visitors from all over the world to highest international standards. Our Management Team consists of widely-travelled expatriates with a wealth of experience in both private villa accommodation services and in the villa design and construction field. We fully understand the needs of our international guests, and our 10 year involvement in Balinese life has given us unparalleled knowledge of local. Dewi Yani is our very experienced hands-on Operations Manager in Bali. Our Support Team of local villa managers and staff is second to none in ensuring that your time in Bali becomes a peak experience that you will always remember. Our combination of expatriate and Balinese proprietors, managers and staff allows us to provide a thorough and very personal service.